Completed in 1990, this 640 single cell maximum security prison was one of the State’s two original prototypical designs. The site layout and building designs have been copied throughout the State in later prison projects.The project consisted of two 96 bed maximum security cell units, four 112 bed medium security cell units and all support services. The facility was designed with perimeter security fencing along with a state-of-the-art camera and motion detection system. 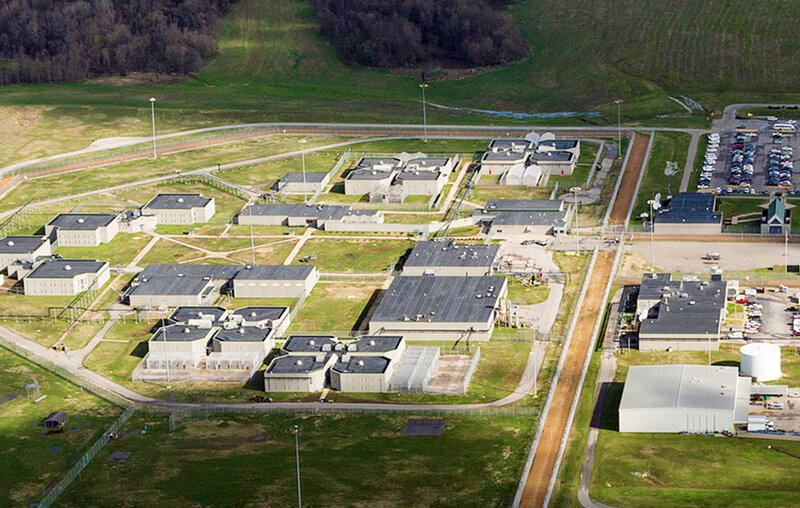 This facility represented the Department of Correction’s most up-to-date and secure facility.